You wanna talk about a piece of junk...this was it! This table was in pieces, with no hope for a new life. So the process only took 1 day! Suprised even me! ....painted, dry brushed, distressed & glazed. The colour is actually grey, with the walnut glaze. The butcher block top is from an old dishwasher. Some have inquired about the wooden bowls, my Father In Law makes them! Aren't they GREAT??!! Looks great! That was certainly a big undertaking to put the table back together and then finish it! I like the bowl underneath, too. You did a great job on this table. Welcome to blogging! Glad you found my blog and joined in on the party. Love that butcher block. Please add my link or button to your post so that others know about the party too. That turned out beautifully. I'm visiting from the newbie party and am now following you. What a great find you guys got and it looks so amazing all assembled. Wow! It's hard to believe that such a beautiful table came out of this pieces. You did an incredible job of giving it a new life! Wow! you did a great job restoring this little table to is cute little glory! LOVE IT!! You did a great job. I have so many things I've picked up over the last few months that are waiting for some nicer weather to paint. I'm you newest follower...hope you pop over and visit! That looks amazing, visiting from Debbie-do's. Love your tables and chairs! Just became a follower. that looks amazing- i love the top. it's just beautiful! Wow, I can't believe you put that back together! It looks incredible! Wow! Love this! How many people walked by those parts in the junk pile? The table looks amazing! Terrific transformation! Thanks for sharing. 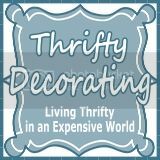 I'm hosting my monthly Before Blogging Throwback Thursdays linkup party and would love for you to share a project you did or made or a thrifty find you're proud of from before blogging. Can't wait to see what you bring. Hi, Darling! I'm admiring all your creative posts here so can you please share them with us at the Creative Bloggers' Party & Hop? 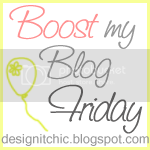 The link is at http://www.homemakeronadime.com/2011/04/creative-bloggers-party-hop-042411.html. This was an awesome project, and I am glad you shared it. You are very creative indeed! Thanks so much for linking up at the Creative Bloggers Party & Hop! I love this table! Darling, this table is gorgeous! Linking up with us made the Creative Bloggers' Party & Hop better and more special. Thank you! Wow! That looks fabulous! I'm getting inspired to get back into "junking." I haven't done it much since having kids, but now I'm getting the "itch" to hit some garage sales! Welcome to "Junque 'n my Trunk"
Junk: That word paints a "not so pretty" picture. Well, we are here to change that. First: change the spelling, to have a "Francais" twist...."junque". There we go. Now, about the actual blog. It is about my love of junque. 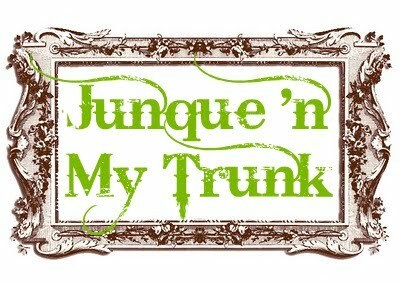 You will see that there are different kinds of junque'n my trunk! Stay tuned to find out! 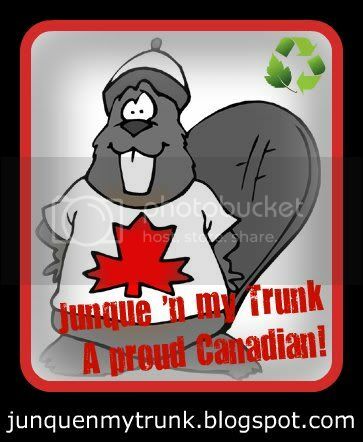 The Trunk full of my "Junque"! Juniper & Roses is now "Olive & Maud"
Back after a LONG Hiatus. Sheryl Crow x City Farmhouse Pop-up Fair!!! Under A Pile of Scrap! The Creative Scoop from the Hen House. Over a year ago. .. Build It Workshops Grand Opening! Islands in the Stream....um, I mean kitchen! Superior Tile & Floor Coverings Ltd.
Will You Be My Maid? Playing with my mantle -- AND my new camera! *Absolutely Precious* Baby Card and Matching Gift Bag! !